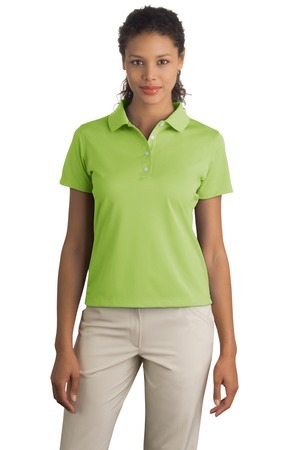 The Nike Golf – Ladies Tech Basic Dri-FIT Polo Style 203697 is available in Ladies Sizes: S-2XL and comes in Black, Flamingo, Lucky Green, Midnight Navy, Orange Blaze, Pro Red, Team Red, University Blue, Varsity Purple, Varsity Royal, Vivid Green and White. The Nike Golf Ladies Tech Basic Dri-FIT Polo is available for purchase in the following colors: Black, Flamingo, Lucky Green, Midnight Navy, Orange Blaze, Pro Red, Team Red, University Blue, Varsity Purple, Varsity Royal, Vivid Green and White. It is available in ladies sizes S-2XL. Be the first to review “Nike Golf – Ladies Tech Basic Dri-FIT Polo Style 203697” Click here to cancel reply.